The Morphe 9B Palette is one of my favourite blush palettes but they no longer make it which is gutting as it’s such a great palette for the price. 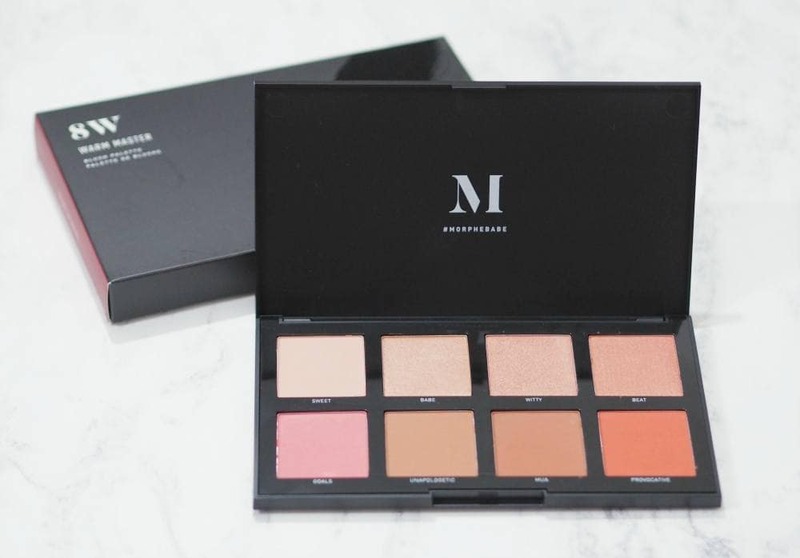 Morphe have however replaced their old style blush palettes with a range of blush trios and two eight pan blush palettes, one of which I own; the Morphe 8W Warm Master Blush Palette which is £20 and available from Cult Beauty. 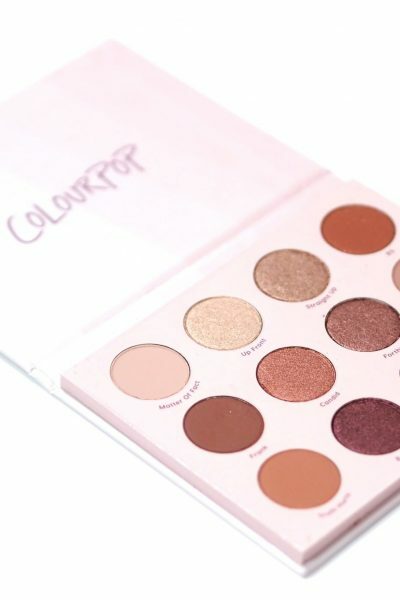 The Morphe 8W Warm Master Blush Palette was launched as part of the Morphe rebrand and £20 is such a great price for eight x 3.5g blushes as it works out at just £2.50 per blush, and the palette is warm overall but there’s also the 8C Cool Pro Blush Palette should you prefer cooler toned blushes. The Morphe 8W Warm Master Blush Palette is packaged within a super sleek matte casing, with a glossy plastic insert holding the blush pans. I always liked the original Morphe branding but the new Morphe branding is so chic and the products all look a lot more highend without the highend price tag. There isn’t a mirror within the palette but that doesn’t bother me as I’d only use the palette for applying blush, so I’d prefer to use a separate mirror anyway. 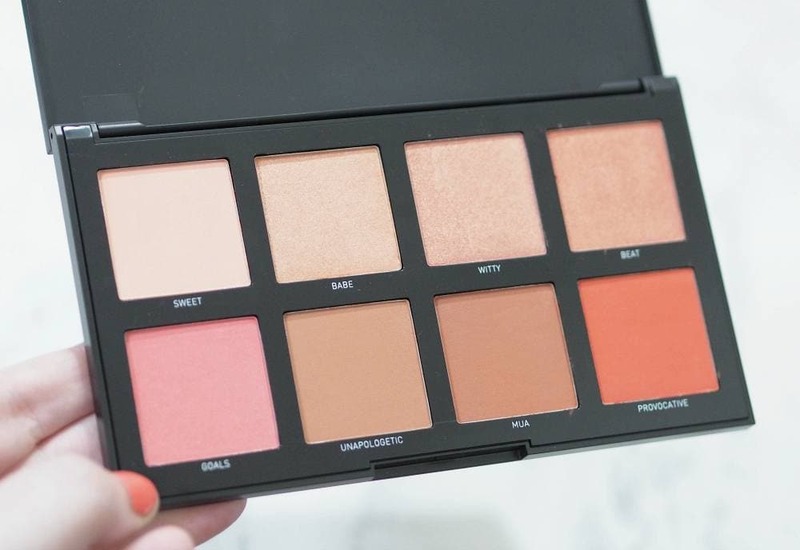 The top row of the Morphe 8W Warm Master Blush Palette features four satin and shimmery blushes whilst the bottom four are matte which I like. I typically prefer matte blushes but what I like about this palette in particular is how muted the shimmery blush shades are. 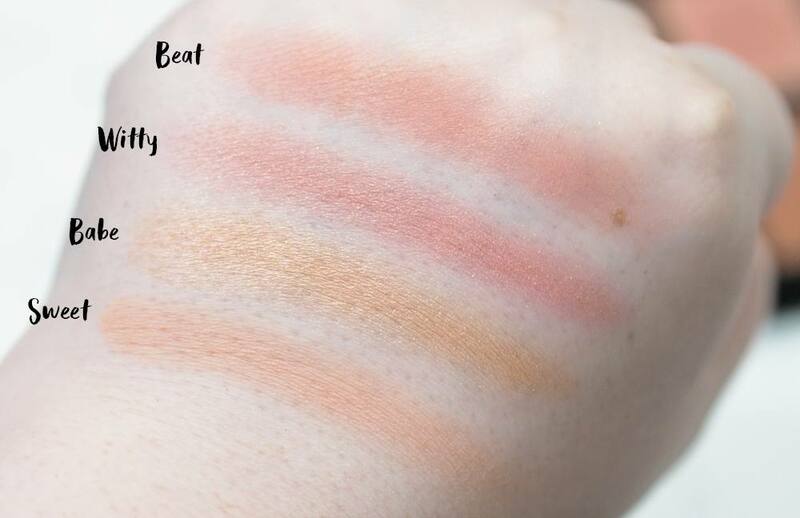 The bottom row features more intense, bolder shades whereas the shimmer shades are paler in comparison so you can choose to wear them alone or as blush toppers over the top of the matte shades along the bottom. 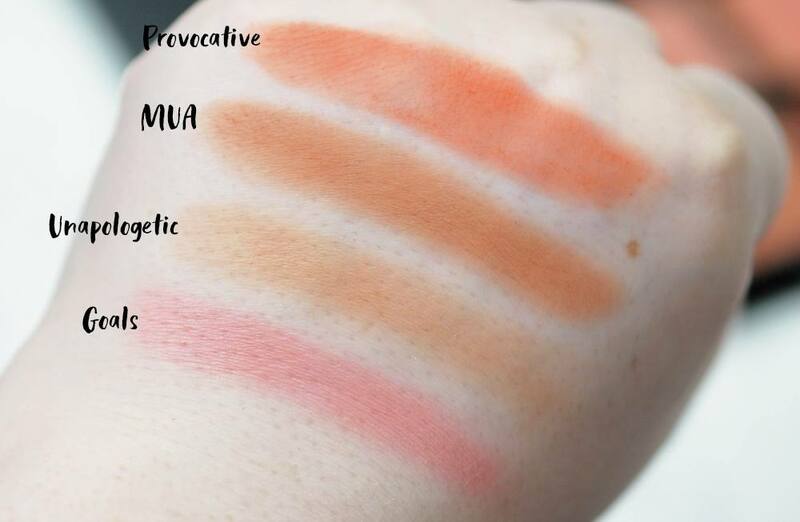 The pigmentation of the four bottom shades is very intense, especially MUA and Provocative, infact Provocative is the boldest and most intense blush I’ve ever tried and I bet it’d look stunning when worn on the eyes as an eyeshadow. One of the reasons I don’t like shimmery blushes is how shimmer can look quite chunky on the skin, but the shimmer shades in the palette contain very fine shimmer and Beat and Babe are more satin than they are shimmer. My favourite shades would have to be Sweet, Babe and Apologetic but the only shade I don’t find myself using is Provocative as the pigment is so intense and blush is always my last step in my makeup routine and don’t want to have to redo my whole makeup look. I am definitely going to try and use it as an eyeshadow in a warm smokey eyeshadow look, but it would be the perfect blush shade for deep to dark skintones. I sometimes find a big palette to be overwhelming but these shades work nicely blended together and you can easily mix them to create your own custom shade. 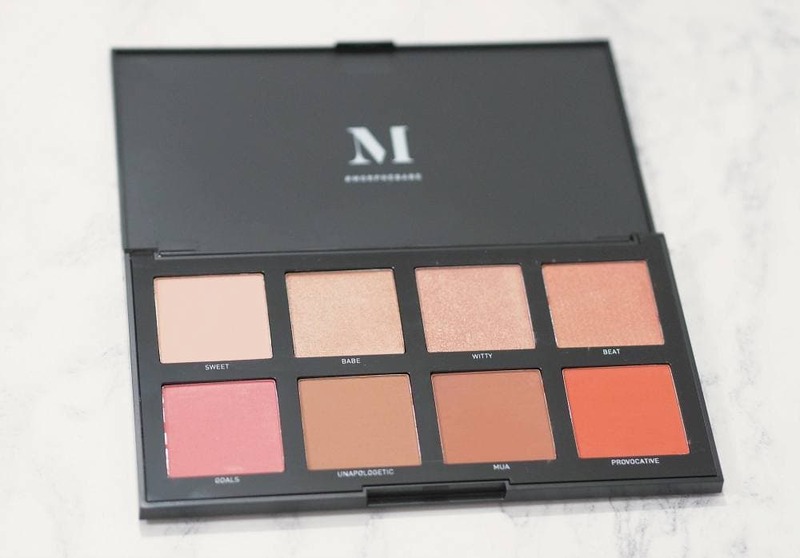 I’d love to know your thoughts on the Morphe 8W Warm Master Blush Palette? 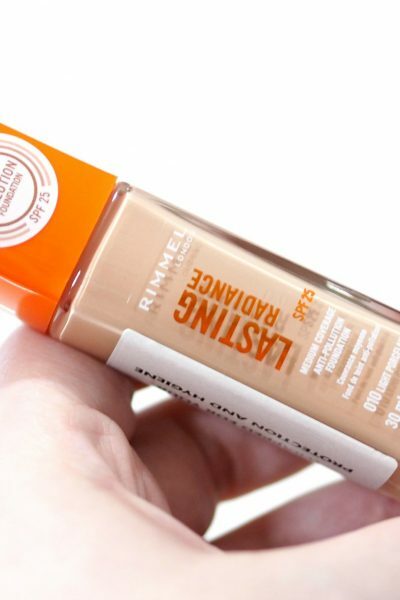 Do you prefer warm or cool toned blush shades?